Although the best view across Loch Clair is that which gazed upon the flanks of Liathach and to a lesser extent upon Beinn Eighe. During a winter sunrise the rising sun appears behind, casting its light upon the mountains, but its difficult to ignore the blood red sky that precedes it as the colour spreads like a cut artery. 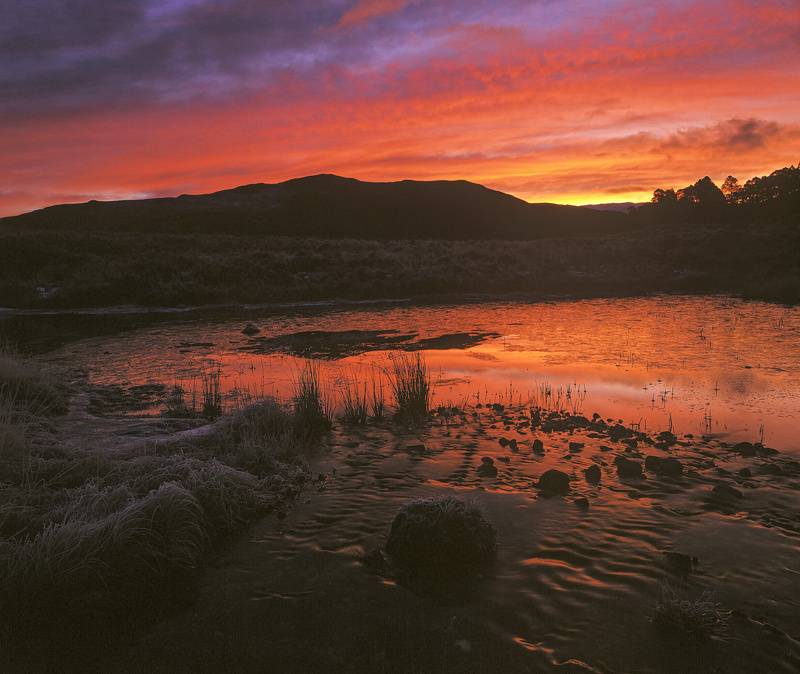 The phenomenally high contrast that would make extraction of shadow tone all but impossible in a single exposure was mitigated a little by the light coating of hoar frost on the foreground grasses which just eased the contrast back fractionally as did the reflected colour in the wee stream.